Matters can be classified in many ways. Acids and bases are another way of classification of matters. Most of the reactions taking place in water solutions are in acid or base mediums. 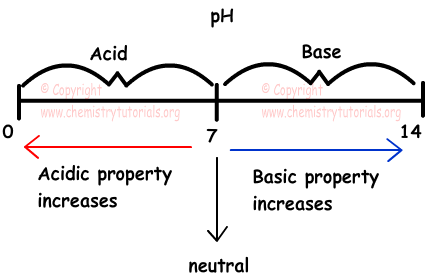 Definitions of acids and bases are given by Arrhenius and Bronsted -Lowery. "Acids are matters that donates H+ and bases are matters that accept H+ ion." In this reaction, HCl donates H+ ion so it is acid and NH3 accepts H+ ion, it is base. Their taste is sour like, lemon, orange. Their solubility in water is high. Their water solutions conduct electric current. Their taste is bitter like shampoo. Their solutions with water conduct electric current. When we touch basic matter, we feel them slippery. Their solubility in water is low with respect to acids. They do not react with metals. However, some of the metals like Zn and Al react with bases and form H2 gas and salt. These metals are called amphoteric metals. They behave like acid for base and base for acid. 1) Acidic Oxides: They are oxides which combine with bases and form salt. SO2, SO3 , CO2, N2O5 are example of acid oxides. 2) Basic Oxides: They combine with acids and form salt. Metal oxides show this property like; Na2O, CaO. 3) Neutral Oxides: They are do not react with acids and bases. Neutral oxides do not react with water and form acid or base. NO, N2O and CO are some examples of neutral oxides. Strength of acid is related to ionization of acids in water. Some of the acids can ionize 100 % in water solutions, we call them "strong acids". HCl, HNO3, HBr, HI, H2SO4 are examples of strong acids.On the contrary, some of the acids can not ionize like strong acids. We call acids partially ionize in solutions "weak acid". CH3COOH, HF, H2CO3 are examples of weak acids. Bases ionize completely in solutions are called "strong bases". NaOH, KOH, Ba(OH)2 and bases including OH- ion are strong bases. Bases that ionize partially in solutions are called "weak bases". NH3 is an example of weak base. Solution having molar concentration of H+=10-2 M has pH=2 and solution having molar concentration of OH-=10-5 has pOH=5.